NORDO News - Aviation Unedited: Aviation - A Microcosm of D.C. MICROCOSM - A community, place, or situation regarded as encapsulating in miniature the characteristic features of something much larger. You and I, today we have something in common. We both have very little time to comment on the FAA’s latest attempt to regulate aviation out of existence. This time it involves Airmen Testing and Certification Standards. Once again we find ourselves besieged by the mindless attempts of the FAA to improve safety. Well, that’s their claim. But as any reasonably educated person would know, there comes a point that you can’t reduce the number of accidents any further. For something to exist, it must have a minimum “failure rate”. If it doesn’t, it doesn’t exist and that is exactly what the FAA is after. Look around you and you’ll see the evidence. Find any three letter government agency and look at their most important objectives. Boil them down and each one of them has at its core the removal of that which they regulate. Interesting hu? So, make your voice heard and go tell the FAA that testing standards won’t affect the quality of basic flying skills. 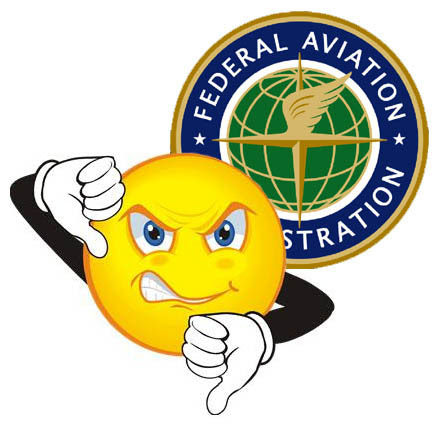 Which, by the way, just last year the FAA said it wished to focus on. Of course, that was after years of pushing FITS, which actually suggested we move the focus away from teaching basic flying skills training. Yes, it even said so in the wording of FITS. But let’s not forget, in the spirit of Washington D.C, our own people, such as THE KINGS and several aviation groups, supported this move the FAA is suggesting. Remember all the articles in ALL the aviation magazines about Risk Assessment? Yeah, that’s what so much of this is about. Well, let me clarify that. What Risk Assessment is really about is teaching students how to find risk in everything and that when they are able to identify situations which qualify as risky, on the "everything is risky" quick reference chart, they shouldn’t fly. Got that? Let me put it another way. The FAA wants everyone to consider a higher percentage of flying to be risky and their solution to that new standard is a no-go decision. Meaning - you fly less because there is more risk. Even worse, aviation is falling for it once again. Go to this link, tell the FAA that they no longer have to justify their jobs by trying to find infinitesimal margins of safety, and that you would really rather they pursue things that benefit aviation instead of cripple it. If this proposed rule proceeds, it will do nothing more than further hobble the PRIVATE flight training industry. Note: I should point out this rule would help the 141 industry which is designed around red tape and benefits from all the government subsidized student loans. But pay no attention to that. Those schools are incredibly important. They teach budding pilots to wear airline pilot shirts when they sleep, fly airplanes in circles all day long while regurgitating airline lingo, and to fly instruments when its sunny outside. Coincidentally, they also teach student pilots that everything is dangerous, especially when flying anywhere without ATC control. Click here for the link. It is the same one as above in case you missed it. In light of the recent event involving a 777 at SFO, perhaps it should be the ATP training sylabus that should be revised - specifically the lessons on how to hand fly your airplane. The "continous improvement" philosophy is common practice throughout the manufacturing industry. Not a bad thing if the goals are clearly stated, attainable, and most important measurable. Recalling the short approach in CA again, as long as humans are in the chain of command/control, there will be accidents. A back-to-basics approach would be my answer.